On the Course settings page, you can change the settings for unit tests. This enables you to choose when students can do the tests. Students can work on their own pace and do the unit tests whenever they want. The test is unavailable unless the teacher activates it. In the Progress report, the teacher can activate tests for one or more students. Choose Activate exam to enable the next test for a single student. 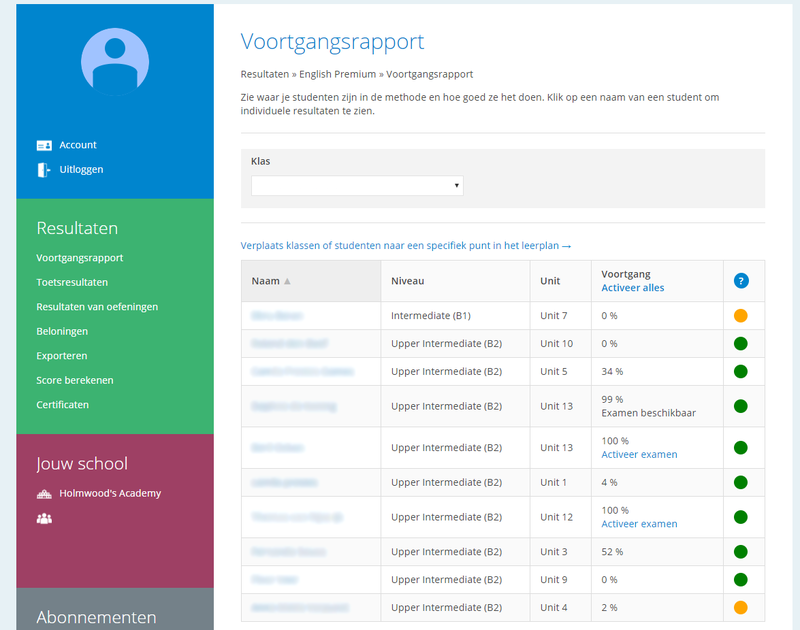 Choose Activate all to enable the next test for all students.